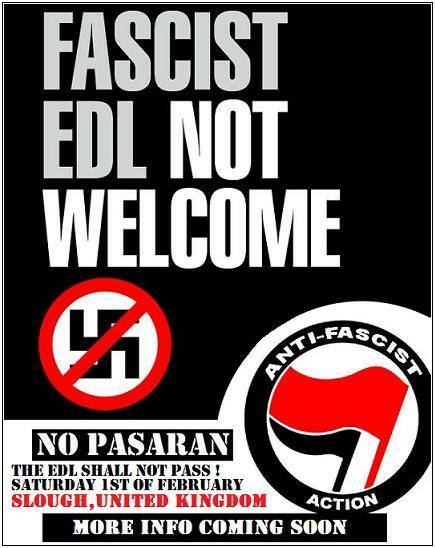 The EDL have changed the date of their Slough national demo from the 8th February to the 1st. So the national anti-fascist callout made by Berkshire Anti-Fascists has of course also changed. 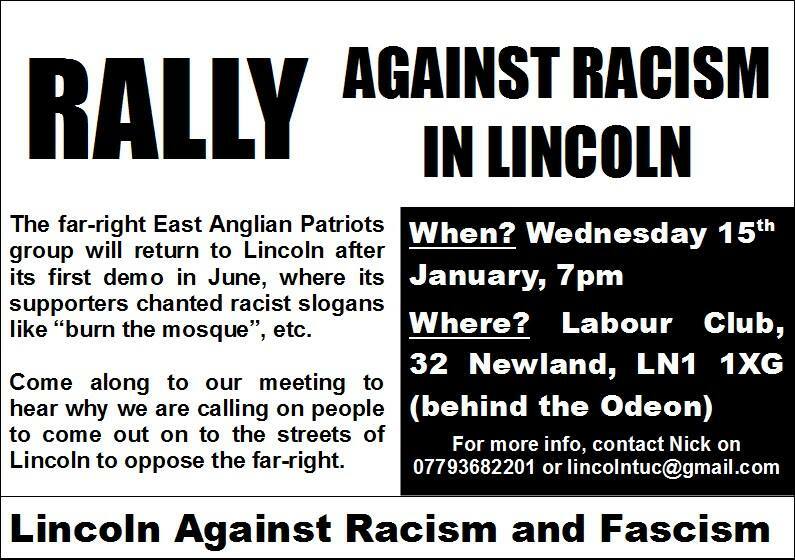 Ahead of that the East Anglian Patriots are still coming to Lincoln on Saturday Jan 18th and will be opposed by a broad coalition of local people. 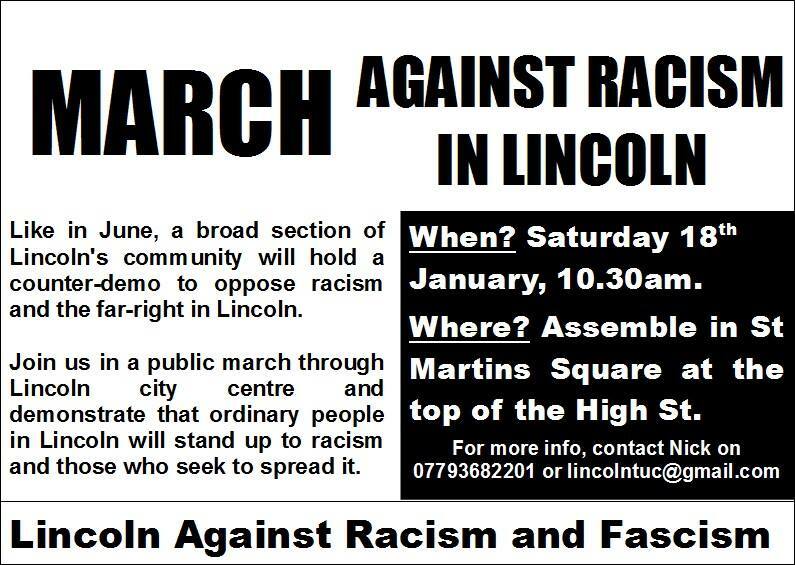 As well as organising to oppose this, Lincoln Against Racism and Fascism have also called a pre-demo rally in Lincoln on Wednesday 15th Jan.
There’s also a court support date for anti-fascists in London on Tuesday Jan 7th, supporting anti-fascists assaulted by the police and arrested during a recent demonstration at the Greek embassy against the Greek Golden Dawn.